Back in the mid-1990s, a physicist by the name of Dr Peter Mario Schwider was working as a system integrator at Fraunhofer Vision. While specialising in the design of charge-coupled device (CCD) cameras, he became increasingly interested in the potential of complementary metal-oxide-semiconductor (CMOS) technology. Jump to 1998, and under the umbrella of the Centre Suisse d’Electronique et Microtechnique (CSEM) in Switzerland, Schwider put his experience of optics, near-infrared spectroscopy, detectors and semiconductors to use on the development of custom sensors for the machine vision market. Schwider and his colleagues were attempting to build a 1-megapixel sensor based on 0.5µm technology, but unfortunately their chosen processes failed to result in a suitable image quality. The team tried many technologies, sampled imagers, and sought out possible candidates for larger sensors by investigating and evaluating smaller designs. The extrapolation from very small sensors to megapixel sensors was complex and required a long development process, but the team was driven by the desire to demonstrate the viability of CMOS image sensor technology within the machine vision and optical metrology markets. Beyond that, they had the ultimate goal of setting up a company that would be devoted to proprietary CMOS sensors. Through an understanding of the limitations of CCD, and at the same time recognising the capabilities of CMOS, the issues with image quality were resolved and resulted in the production of a digital VGA CMOS camera with a D640 global shutter, which debuted in 2000. The camera with LinLog technology was presented by Schwider and fellow physicist and colleague Dr Nicolas Blanc at the Vision show in Stuttgart, Germany, where it received the Vision Award 2000. The positive feedback and support the camera received proved to be the push that Schwider and three of his partners needed, and in 2001 Photonfocus was founded with a remit of manufacturing digital CMOS cameras and CMOS image sensors. The company quickly gained ground in the market with its first development, the MV-D1024 camera series with LVDS interface and A1024 CMOS imager with global shutter. ‘Even as far back as 15 years ago, it was clear that CMOS sensor technology would eventually replace CCD,’ commented Schwider, ‘but we are only just beginning to see that transition. We were always confident that with further development towards smaller footprints that offered more features and lower noise, the resulting image sensors would completely outshine CCD. ‘In fact, the positives surrounding CCD that were being blocked by the readout structures could be overcome and that vast potential could be realised in CMOS processors,’ he continued. ‘We knew we had to take those positive aspects of CCD and combine them with the advanced CMOS readout structure – convincing the market that this was a good idea, however, was another matter.’ Schwider added that the company’s first few years were difficult as they attempted to convince customers that the future lay with CMOS. This was especially hard given that, at the time, the CMOS image quality didn’t compare to the quality of CCD. Despite set-backs, Photonfocus persevered in its mission to develop and promote CMOS technology, especially within machine vision where process control and the need to adjust production line parameters quickly demanded fast cameras with high-quality image sensors and pre-processing. In 2004, the Photonfocus A1024 CMOS imager was re-designed and upgraded to the A1024B, significantly enhancing the sensor’s performance, and the 12-bit MV-D1024E E-Series camera was released. 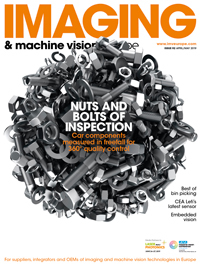 The following year, the company’s D750 CMOS imager with LinLog technology for driver assist systems was among the first CMOS sensor with global shutter technology to be awarded ACQ 100 automotive certification. Over the years the company has built on its success with a further number of notable product launches, such as the 3D camera series with PEAK technology which hit the market in 2007 and featured high measurement accuracy, making it ideally suited to surface quality inspection. Between 2009 and 2012, Photonfocus launched its 1.4 megapixel A1312 CMOS LinLog imager with global shutter, GigE interfaces for the MV1 camera series, NIR imager A1312I with very high quantum efficiency in the near infrared, and 4.3 megapixel A2080 CMOS imager with global shutter and LinLog. The 3D camera line-up was extended – as was the CMOS camera family with low light CMOS imagers – and the company also introduced the Double Rate Technology in its DR1 camera series. Furthermore, the A1312IE CMOS image sensor with improved modulation transfer function (MTF) in the near infrared was released. Last year, in addition to presenting its NIR imager A2080IE, which the company says offers very high quantum efficiency in the near infrared, Photonfocus won the Swiss Excellence Award for outstanding product innovation. ‘I think it’s safe to say that the industry has finally embraced CMOS,’ said Schwider, ‘and over the next five years we’ll continue to see major developments. For example, the overall performance of the sensors will definitely increase, especially when it comes to the signal-to-noise ratio, the covered spectrum and quantum efficiency.’ Schwider equally attributes the rise of CMOS to the mobile consumer market and to process control within machine vision. CMOS camera sensors are cheaper to manufacture and require less power to operate than their CCD-based counterparts, and so an increasing amount of smartphones are now equipped with CMOS technology. As for Photonfocus, the company is continuing to find motivation in unexpected places. Last year, for example, the 2014 Football World Cup held in Brazil featured high-speed Photonfocus cameras that transmit in real time over a small bandwidth and shoot up to 500 frames per second. German company GoalControl selected the motion control cameras to be integrated into its goal line technology for referee assistance and sports analysis. These precision cameras earned Photonfocus the Swiss Excellence Product Award in 2014. ‘Seeing our technology being demonstrated on football programmes is a great boost, and it reminds us that with every application we can gain exciting and invaluable insight in the field of photonics,’ Schwider concluded. Xilinx FPGAs have been central to Active Silicon over its 30 years in business. 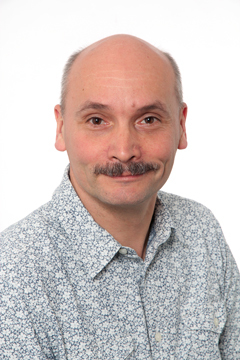 Colin Pearce founded the company on 5 September 1988, originally as a Xilinx FPGA consultancy, at around the time Xilinx launched FPGAs into Europe. Now, virtually all of Active Silicon’s products use Xilinx technology, with one of the latest based around a Xilinx Zynq system-on-chip, targeting the emerging embedded vision market.